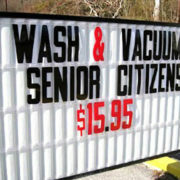 Inspiration for effective marketing often comes from the most unexpected places, or fresh ways of looking at something. Even symbols one has seen their entire lives can take on a new meaning, or new technology can create ways to interact with the marketing world. 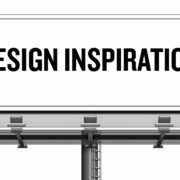 Here are 5 examples of billboard design inspiration that came from unusual sources or clever re-imaginings. Annually every April, parent company Hasbro comes up with a new marketing technique just in time for Children’s Day. In 2018, the company announced the launch of the “Open a Jar of Imagination” Play-Doh campaign. This year, the company is championing encouraging children’s imagination and play. With this unique billboard structure, commonly featured in bus stops and eye-level billboards, the viewer is invited to use their own creativity to see beyond a basic can of play-doh to imagine what it could become. The limited-edition cans are surrounded by a clear plastic mold of children’s motifs like robots, airplanes and frogs. The billboard is designed superbly well, and offers multiple levels of connection to the viewer. The clear plastic molds surrounding the vibrant can of Play-Doh showcase the product extremely effectively, while the sight of the can inspires nostalgia for adults and excitement for children. Finally the idealism behind it, in imagining what the product could be rather than just what it is, speaks to the hearts of clientele. With low cost and maximum impact, this is a fantastic example of an outdoor advertising campaign. This approach in particular would work for a company with a special campaign or message. The gradual change captures viewer interest, and the simplistic glowing letters on a dark background grabs the eye and leaves room for thought. Canadian creative agency Cosette noticed that road signs for McDonalds all over Canada had inconsistent branding. While every sign incorporated the signature golden arches, the similarities ended there. In an effort to make branding more uniform and directions to each location more streamlined, McDonalds embraced providing directions with the golden arches themselves. Using segments of the arches, such as the left bottom portion of the arch to directionally “point” to a McDonalds on the right, or the center of the arch to directionally signal to get off on the next exit, McDonald’s is able to simplify within their established branding and provide directions to their customers in a truly genius way. All it took was looking at the signature golden arches in a new way for some solid billboard design inspiration. Just in time for the Quebec City Magic Festival, agency Lg2 installed an interactive billboard in a popular bus stop to promote the event. Using recently developed technology that is being used in major retail and restaurant chains to glean marketing data, the agency is bringing smiles to Canadian citizens. A person will move closer to the digital billboard and be prompted to pick a card and keep it in their mind’s eye. The billboard will then reveal the card you were thinking of, “reading your mind.” Of course, there is advanced eye tracking technology behind the screen that follows the users gaze in order to accomplish this, but it brings joy and entertainment nonetheless. This outdoor media is a perfect example of using cutting edge billboard technology as inspiration to capture and engage viewers. This past winter, Fallsview Casino and Resort in Niagara Falls commissioned an enormous billboard in Dundas Square. The enormous blue billboard towered 40 x 73 feet above the square and was entitled “Fun Magnet.” Installations of mannequins on parachutes, mannequins barely hanging onto full motorcycles and even a hot dog car were bolted onto the installation as though they had just been stuck to the board with a magnet. Prominently in the center was the logo for the casino. The design for the billboard was truly incredible, with a high attention to detail and no expense spared to bolt full vehicles and mannequin fixtures to it. The attention to detail and 360 degree marketing experience didn’t end there. A local agency proceeded to make a supporting documentary for the making of the billboard, following three mannequin “celebrities” sharing their thoughts and respective journeys to Dundas Square. When done correctly outdoor advertising can be one of the most impactful forms of marketing there is. The right advertisement can act as a monument to your brand that exists in the physical space your clients live their lives in. 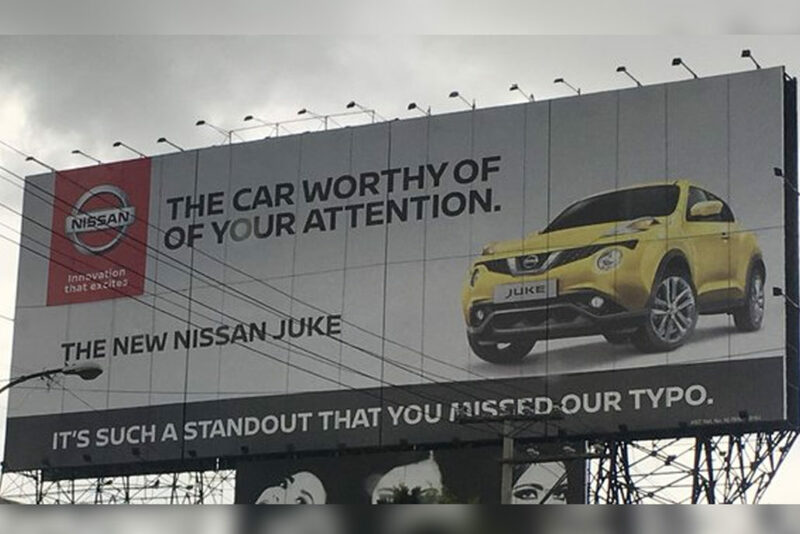 Outdoor advertising is harder to ignore than many other forms of advertising, but to achieve the maximum impact, it should be creative. A basic billboard might get your message across, but if you really want people to stop and think about what you have to say, then you need to present you. Consider the power of cross-promotion. Outdoor advertising really takes off when it plays with people’s expectations. We’ve all seen two advertisements placed side by side, but they never interact. This unique ad from pizza brand Donatos plays with expectations to create a hilarious and eye-catching ad. It’s also worth noting that this sort of idea opens up all sorts of opportunities for cross-promotion. 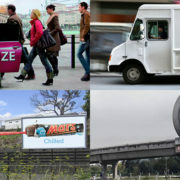 Creative companies can team up to create a billboard that delivers twice the punch at half the cost. That’s thinking outside the box. Turn two billboards into one ad. Here we have another advertisement that is created by combining two separate images. It takes full advantage of three-dimensional space to create an image that is impossible to ignore. It also presents a unique and vivid take on the subject matter, one look at that stretched out tongue is enough to tell you that it’s licking one cold candy bar. Convert a vehicle into a moving billboard. Drawing comparisons between your business and your competitor is always tricky, but FedEx found a brilliant way to turn their delivery trucks into ads with a cheeky message. A simple decal turns an average truck into a humorous and attention-grabbing jab at the company’s competition. Just putting your company’s logo on your vehicles might be fine for some, but there’s power in going beyond what’s expected of you. Go beyond the flat image. Take full advantage of the fact that outdoor advertisements don’t need to be completely flat! It might cost extra to add depth to a billboard, but if you’ve got a great idea, then the return on investment can be tremendous. People see flat ads all day long, give them something that comes out at them, literally! Use electronic ads to tell a story. Any one of these images would make a fine advertisement on its own, but when you see all three images in sequence, you get a message that is more than the sum of its parts. All too often people are content to purchase just one of three slots on a board like this and hope that they’ll stand apart from their competition. This ad shows that this sort of technology can be used to convey simple but powerful messages using sequential storytelling. Build off of what’s already there. When creating an outdoor advertisement, you don’t have to build everything from scratch! By working with whatever is already in place you can increase your impact without dramatically increasing your budget. Look at this ad and imagine how much more Hot Wheels would have had to pay if they wanted to put up an entire fake bridge. But instead, they used an existing structure and made a big point at a relatively low cost. Put up ads that work with people around them. This ad from Mini Cooper does a great idea of telling people that their vehicle is more spacious than it looks at first glance. It does this by taking advantage of the space it is in and the way people exist within that space. When planning your next outdoor ad, you need to think about how it will exist in the chosen space and how people will interact with it. Use technology to remind people that it’s time for them to pay you a visit. McDonald’s gets a lot of business by staying open around the clock, but not all of their locations is open around the clock. This is tricky to deal with, when people are up late at night they might be hungry but they don’t want to waste time visiting a restaurant that isn’t open. This sort of message encourages people to pay McDonalds a visit while assuring them that they’re open and ready for business. For more outdoor advertising ideas check out our other article on the best outdoor advertising campaigns. Billboards are a popular advertising medium because they’re a great way to get a simple message to a lot of people quickly and affordably. They can target people based on the location where they will be viewed, and they often have a captive audience who has no choice but to notice the sign. But, in the internet age, are they becoming less useful? Do we depend on electronic targeting and digital technology to get our point across? No, not with a little creativity. 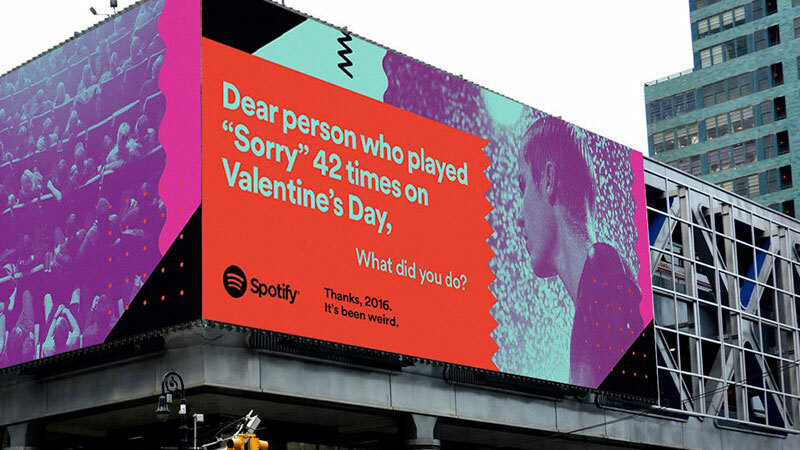 In fact, one recent campaign of Spotify funny ads is a perfect example of how outdoor advertising can be even more successful than something posted online. 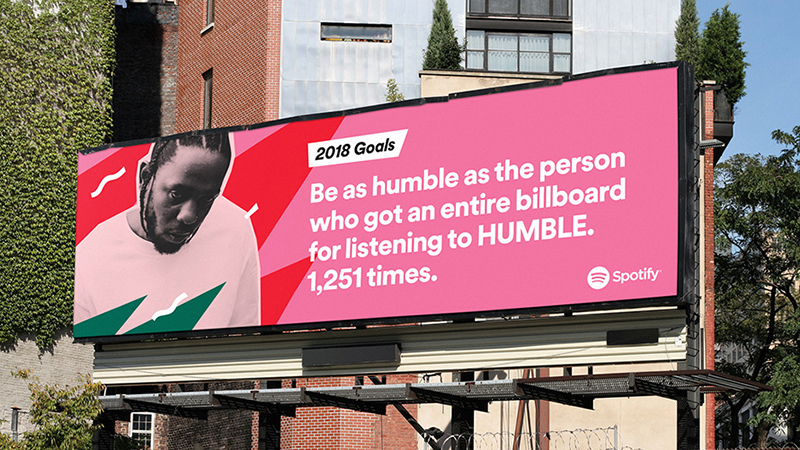 In November of 2016, the online music streaming service Spotify launched a global campaign of funny ads using billboards. Each sign contained messages that were localized for the markets where they appeared. 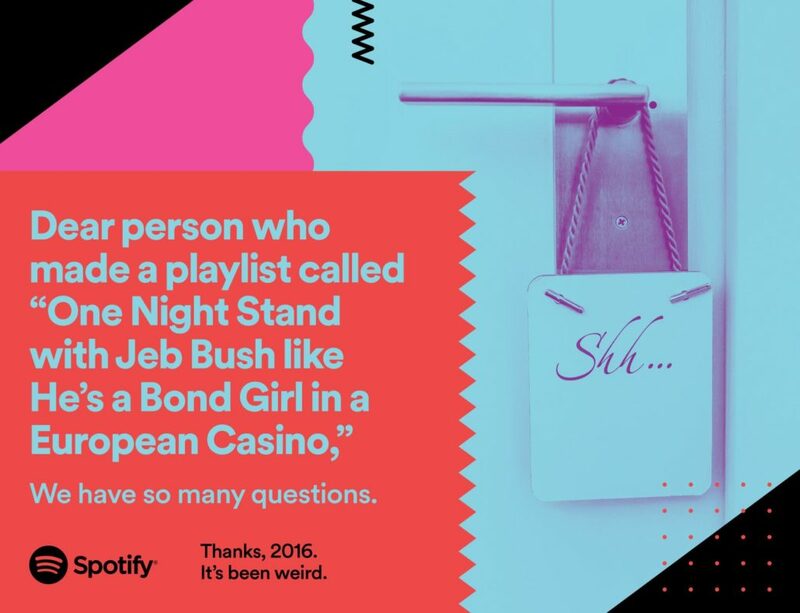 The messages were crafted using Spotify data to find what people were listening to, and they often matched with specific and memorable events that occurred that year. Then they added in a strong mix of humor to make sure they were entertaining, and splashed them proudly on billboards. 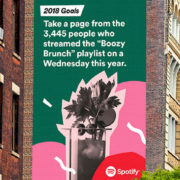 One thing you’ll notice about these Spotify funny ads are that they don’t say anything specific about what Spotify does. They all refer to people listening to songs, so they imply that the company has something to do with playing music, but it doesn’t have any other information about why you would want to use the service. They assume that everyone who would use them to stream music already knows about their offering and how it works, or is smart enough to pop the name into a search engine. This saves valuable real estate on the sign to show the new look of their brand, and it doesn’t distract from the humor. One of the biggest reasons that companies go with ads that deliver some sort of emotion is because they give personality to a brand. This works in the case of Spotify, because one of their main purposes is to offer entertainment. 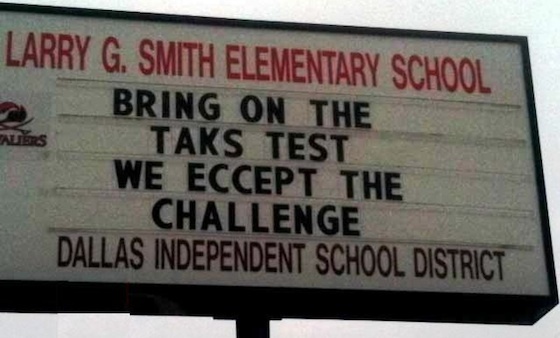 These signs weren’t music to your ears, but they probably caused you to laugh a little bit. This adds to an overall image of a company that will make you happy, and you’ll subconsciously remember that when choosing which website to get your music from. Another brilliant aspect of this campaign was how it was relevant to the time. 2016 was a busy year in the world, and there were many celebrity deaths, unexpected political situations, multiple international crises, and a lot of other difficult or surprising events. Social media users had become used to blaming everything on 2016, and this campaign played right into that – in a non-depressing way. It even managed to take all that distress and turn it into something funny. One of the common concerns about billboards is that they’re not as likely to go viral as something that’s easy to share online. 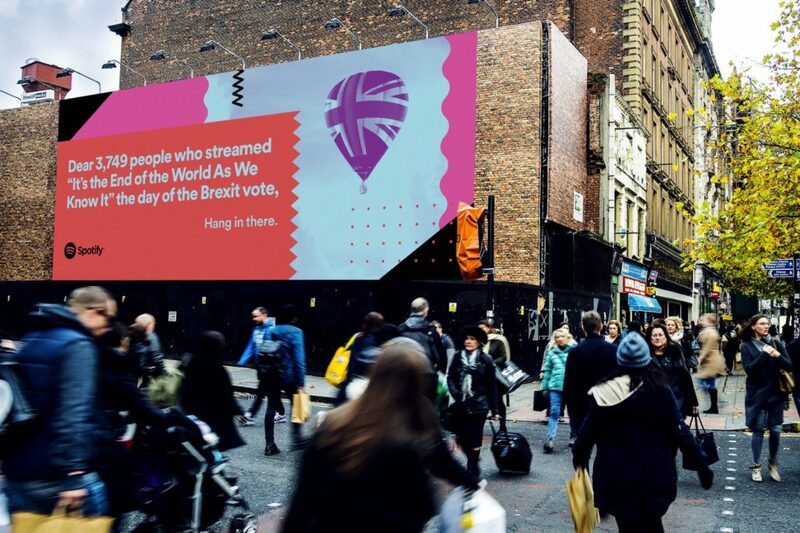 This campaign helped prove that not only are billboards not outdated, but the number of digital cameras out there may make them more likely to go viral than an image saved on a website. A campaign has to be made correctly, but physical objects can be less likely to get lost in the noise. 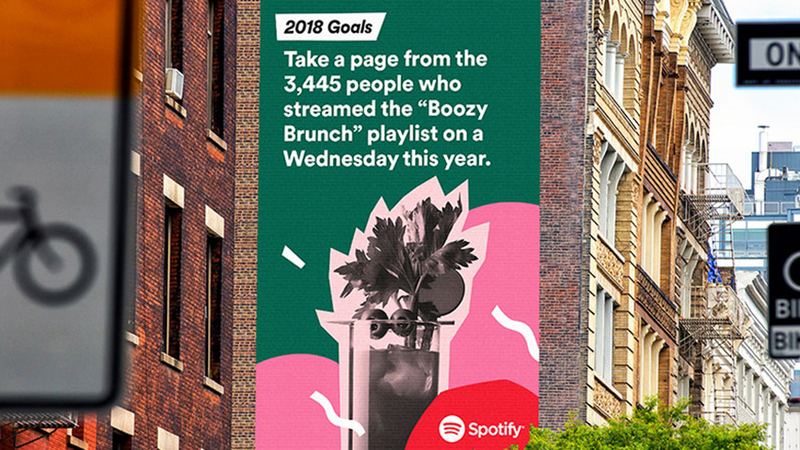 Speaking of going viral, this Spotify funny ads campaign used another buzzword that’s popular in the internet era: big data. Many companies are gathering and cataloging massive amounts of data from their customers, and most are still trying to figure out what to do with it. This information is a dream for marketers and advertisers (especially in the online space), but this is a creative use of it that many hadn’t thought of. Big data in an ironic way really stood out. Grab Attention with Your Billboards! 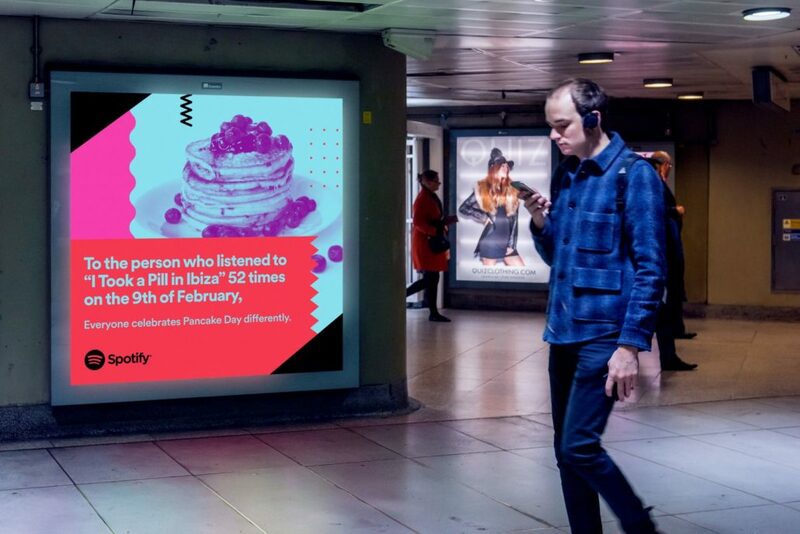 This example with Spotify is just one of many recent campaigns where outdoor advertising was still going strong in the 21st century. It’s often a good idea to balance it out with the other advertising media you use, but it can be a strong way to boost sales and build brands in many different industries. Reach out to us if you have any ideas you’d like to discuss seeing on a sign, and we’ll be overjoyed if it’s a funny campaign like this that will spread the laughs around! 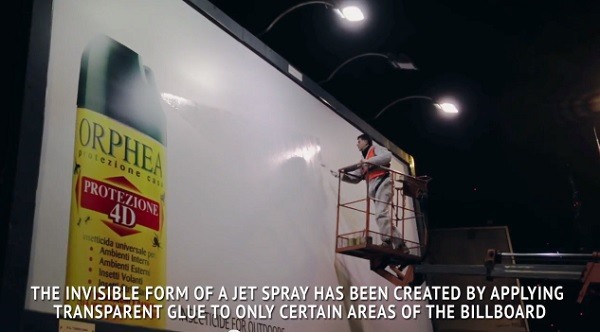 Creativity is a crucial part of any successful outdoor media campaign. With billboards being a very popular form of marketing all over the world, there’s no shortage of great examples to choose from. We’ve analyzed a variety of outdoor media from all over the world and put together our list of the best outdoor advertising campaigns out there! Sundials have been a method of telling the time since some of the earliest parts of human history. This creative outdoor advertising campaign uses this method of time tracking in order to bind together the “time aspect” of its message, by linking the actual Earth time dynamically with the ad. Speaking of visual metaphors, here’s another good outdoor advertising campaign. The concept of “little men” doing tasks beyond the range of the visible eye is a very common one which helps allow people to have trust and understanding in the process that takes place. This ad doesn’t even need to use words to get its message across. “This burger is so big, it can’t even fit on two billboards.” While of course, the burger’s depiction on an ad isn’t representative of its actual size, it serves as an easy visual shorthand which clicks with the brain naturally. It’s fun to stay at the YMCA~ Nostalgic 1970’s throwbacks aside, this outdoor advertising ad campaign is an effective combination of form and function. Instead of simply showing an image of the inside of one of the YMCA facilities, this ad instead deigns to bring a piece of the facility to the viewer themselves. This creative outdoor media is less of a billboard and more of a dynamic outdoor art piece. This ad uses the contrast between the concept of LEGO as a child’s construction toy and the serious nature of real-world construction in order to grab the attention of its audience. Anyone who lives in a major metropolitan area will no doubt be familiar with wild flocks of birds terrorizing parks and restaurants in the attempt to scrounge up food. This ad uses this familiar visual in an attempt to demonstrate how desirable and delicious these Nestle candy bars are. Hello, your billboard has arrived! Given how iconic DHL’s packaging and branding is, this creative billboard ad doesn’t really need to do much other than remind people that the brand exists. People like to receive packages, so seeing a giant package unboxed with an express label on it triggers a specific subset of endorphins within the brain that the audience will then associate with the brand. In the world of writing, there’s an age-old adage which is show don’t tell. This concept can be held up to many other mediums and industries, even advertising! In this case, this outdoor advertising campaign comprised of diamonds makes for a quite effective means of getting their point across. It’s one thing for someone to say a fact and another for them to prove it. Usually the flashier the billboard, the better. In this case, the exact opposite is true. While this creative outdoor media ad still defies audience expectations and grabs your attention, there’s no denying it’s simplicity. Given that this ad is to spread awareness about a serious issue and not to sell a product, there is also a level of gravity and somberness imparted by its stark nature. Advertising has evolved much over the ages. Before the advent of cheap, high-quality photo printing, painted illustrations were required to cover the large area of billboards. This meant that vintage billboards were works of art in and of themselves. Due to the limitations imposed by the use of illustrations, even the design of such ads was different. We’ve compiled a list of some of the most effective, beautiful, and well-crafted vintage billboards to analyze and deconstruct. For anyone who has seen the classic 1985 popcorn science fiction film, “Back to the Future”, this billboard might bring back a bit of nostalgia. There’s a scene in which the main character travels from an empty lot in 1955 to the same space in 1985, except the area is now occupied by a newly built suburban neighborhood. While this ad is clearly about Pepsi, it still manages to be highly representative of its era- a time when suburban development was on the rise as the American middle class prospered. Perhaps the most interesting and striking aspect of this billboard is that it uses scale in order to defy the expectations of the viewer and catch their attention. Small objects such as the Pepsi bottle cap are drawn to dwarf traditionally larger objects such as the house being constructed. The technique is quite subtle, yet still manages to disarm and interest viewers. Of course, if we are to look at old Pepsi ads, it is inevitable that vintage Coca-Cola ads be brought up as a contrasting point. The evolution of the marketing behind Coca-Cola is an always fascinating subject. Here is a rare snapshot of the brand’s humble beginnings. Simple, yet ever present, this ad was found in Puerto Rico and was among the first of the brand’s international marketing efforts. Coca-Cola’s presence has been felt around the world for decades, this image highlights just how long Coca-Cola has been in the forefront of popular culture. The ad pictured above is from a relatively recent photograph, meaning that this ad has remained intact for almost 100 years at this point, all thanks to the quality of craftsmanship and the materials used. This billboard found in Sevilla, Spain dates back to the 1920’s and is a beautiful and quite rare find. Comprised of painted tiles, it has more in common with traditional Spanish art than advertising materials. The amount of detail, care, and raw artistry that has gone into this piece comes off as incredibly uncharacteristic with what audiences have come to expect out of ads. Thrilling and interesting they may be- modern ads are ultimately understood to be disposable and fleeting. Flat design is highly distinguished by shape and color instead of perspective, lighting, and detail. These two elements are commonly found being manipulated in vintage ads. This ad is a prime example of how shape can be used and taken advantage of in an ad. 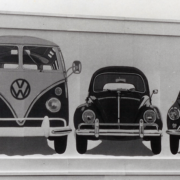 This ad for some motorcars is focusing specifically on the shapes of the front of each car, relying upon the highly distinctive and iconic silhouettes of the vehicles to add impact to the billboard’s message. This famous ad for the then brand-new Chevrolet Camaro is worth highlighting thanks to its striking use of bold colors. As previously mentioned, color is the other side of the coin when it comes to flat design. While the last ad made great use of shapes and silhouettes, this Camaro ad chooses to shift the focus mainly to its usage of color, though the shape here is still very distinctive and clear. The high contrast between the yellow, red, white, and black, makes it stand out and leaves an impression in the mind of the viewer. Such imagery has had a drastic impact on popular culture, inspiring visual effects in movies such as Quentin Tarantino’s “Kill Bill” and in video games such as “The House of the Dead”. 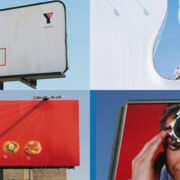 In this example, the billboard is comprised of multiple 2D elements layered in such a way to give the impression of depth, guiding the eye from the front left to the back right. Billboards aren’t always used to continue a previous ad campaign, but it can be a great idea. Also, billboards don’t usually insult or scare the customers watching them. Not only was that seen as impossible throughout most of advertising history, but it was also viewed as a bad idea to hurt the feelings of the people who you want to buy your product. However, one well-known candy bar brand managed to do all of the above with their Snickers billboard, and it worked out well for them. 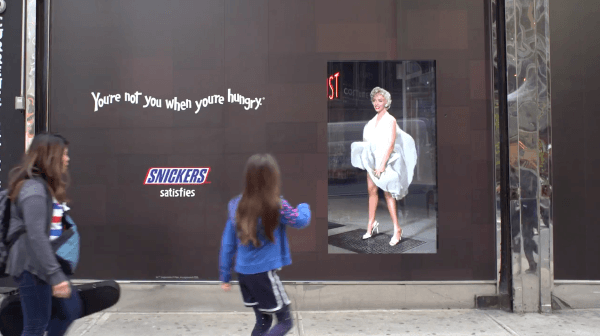 A digital Snickers billboard was set up on a street in New York City. The image showed the famous scene from the 1955 film Seven Year Itch when Marilyn Monroe was standing over a blowing subway grate in a white dress. But, when passersby stopped to look a little bit closer, something happened. Marilyn suddenly looked, well, different. 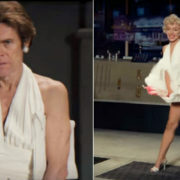 She would quickly change into the face of Willem Dafoe, but he was still wearing the white dress and recreating the scene. He’d be looking right into their face, and he’d have a big frown – quite different from the lovely smile worn by Marilyn. It may have freaked out quite a few pedestrians, but it certainly got people talking. This may sound like a bit of a random thing to have a billboard do, but it makes complete sense if you know the whole story. Snickers has had a long running campaign of famous people being angry in situations where they didn’t quite fit, and then someone around would give them one of the candy bars. After eating a bite, they’d turn back into someone who made complete sense in the situation. The whole concept is that “You’re not you when you’re hungry,” but the Snickers bar can bring you back to life. 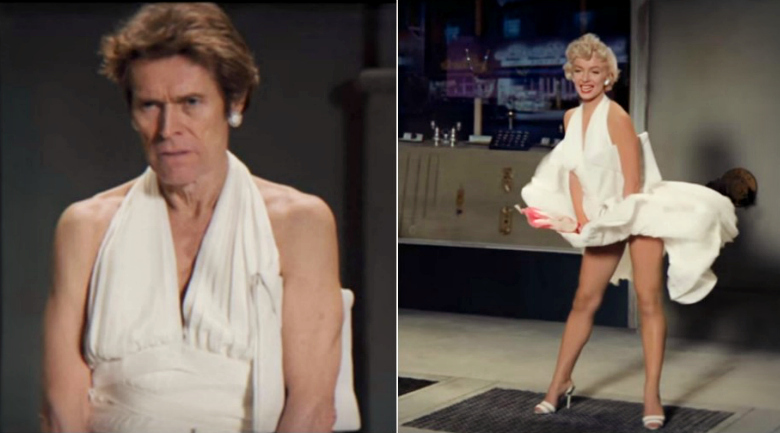 So, the brand decided to use that concept to make that a Super Bowl commercial in 2016, and they went with the whole scene of Dafoe reenacting the iconic image before some tasty chocolate turned him back into Monroe. They made the billboard a few months later, and it served as a brilliant continuation of the ad. 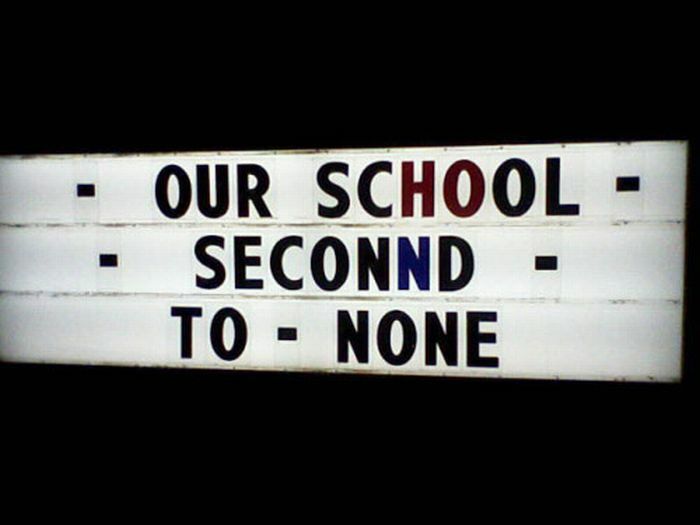 It may seem like this was just a random changing billboard, but that’s far from the truth. It actually had facial-recognition software built in, so it knew when people were stopping to look at it. If it didn’t have this capability, it wouldn’t have had such an impact because it wouldn’t have been able to startle people. But now, the timing was perfect, and the angry Dafoe was glaring right at the people who would soon subconsciously purchase a Snickers bar when in a bad mood. Both ads were created for Snickers by BBDO New York, and they got a lot of praise throughout the ad industry. Many were impressed at how they were able to resurrect a Super Bowl ad months later, and it’s used as a case study about the successful implementation of facial-recognition software in a billboard. It seems that’s something that people are going to see quite a bit more of. In a world where technology seems obsolete about a week after it’s introduced, many people think that billboards are an advertising form of the past. However, this is a perfect example of why they’re not. Most of the people walking by the billboard were interested in it just because it was digitally moving and recreating a famous movie scene where it would’ve taken place. The rest of the world took notice of the campaign because of what happened after that, but the people who saw it would have been interested even if it didn’t have Willem startling them in such a memorable way. Another big lesson to learn from this campaign is that you don’t have to limit your advertising to one type of media. Different ads can serve various purposes across multiple different platforms, and this can help to increase engagement and spread your message. This situation even shows that they don’t have to be made at the same time. The Super Bowl commercial came out months before the billboard, but it was brought back to life by the new sign that pushed its way into people’s lives. Even if you’re not a producer of candy bars with a budget able to hire celebrity endorsers, putting some creativity into your advertisements can really help your bottom line. But, you don’t necessarily need to pay top dollar to an advertising agency to make it happen. If you have an idea you’d like to see turned into a reality, just get in touch with us for some help. Just make sure to grab a Snickers first, we prefer to deal with people in a happy mood! Everyone needs a dentist at some point in their lives. That being said no matter where you live, odds are there are a large number to choose from. Dental advertising is a very tough and competitive space to try and get the message and brand across to potential customers. That being said, when the going gets tough, the tough get going, and some dental offices have used humor, creativity, and a number of other ways to utilize outdoor media to their advantage. 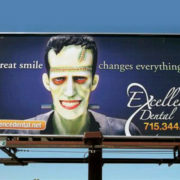 Here are some of the best dental billboard advertising ideas we’ve seen around. Billboards which use dummies dressed up to look like people can be an incredibly effective tool at getting the attention of drivers. Most people are not very used to seeing crews working on installing a new billboard. 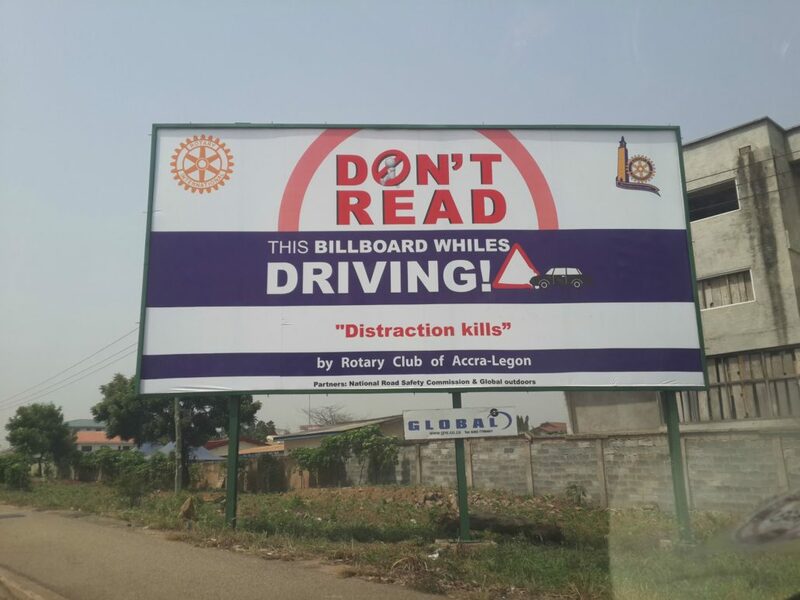 This means that when a driver does indeed catch someone working on a billboard it catches them off guard, even more so when they realize that the person’s actions are actually in line with the billboard. Here of course, the message is supposed to demonstrate that the whitening offered by Whitlock Dental is as easy and effective as painting over a billboard. Speaking of catching people off guard and making them feel uncomfortable, here is another billboard which aims to do just the same. When one looks at a billboard, they expect to see one continuous image. The gaps in this billboard defy the expectations of the viewer and thus catch their attention. More than that however, a desire to fix the gap in the billboard is created within the viewer. Those needing braces or who know others who need braces will ideally end up connecting these two thoughts together. Frankenstein’s monster is a classic and memorable pop culture icon. Regardless if one is familiar with the source material, it is highly unlikely that they aren’t familiar with this giant green abomination. By editing this well known character Excellence Dental is able to grab the attention of drivers who will recognize that something is off. While many probably remember being told to color inside of the lines during kindergarten and elementary school, this isn’t always the case in the world of professional graphic design and advertising. Thinking outside the box, literally in some cases, will lead to gripping and visually interesting ad campaigns. This ad may not be as exciting as some of the other selections on this list, but in its subtlety lies its brilliance. Having the toothbrush just ever so slightly extend past the borders of the billboard adds a necessary level of dynamism to the ad. In addition to this, the ad’s use of color is striking and does much to convey its message. The absolutely filthy yellow and the texture used on it creates a sense of unease in the viewer which is then contrasted with the beautiful pure white background that the company’s logo sits on. As previously demonstrated- breaking the “fourth wall” is an effective way of grabbing the attention of your audience. In this case we have a billboard which utilizes two different backgrounds to give the impression that a child is actually eating the billboard. Given how seemingly bizarre and difficult this task would be, this advertisement is able to use this exaggeration in order to get across the idea that they help build strong teeth. The text goes out of it’s way however to make references to other services, of which are implied just to be as effective as the teeth strengthening. Perhaps one of the more unique examples here, this billboard actually doesn’t feature any images of teeth or dental products on it. Instead it attempts to paint a vivid mental image in the viewer’s mind of them biting into an apple. It uses this as a sort of filter in order to connect with its target audience. Those that imagine biting into the apple and enjoying it are essentially disqualified from the offer. If the viewer however were to imagine going through pain or difficulty then the billboard has found someone who stands to benefit from their service. It reminds these viewers of the pain they experience and offers a personal and relevant solution to them. Outdoor media has always been an industry filled with creativity. 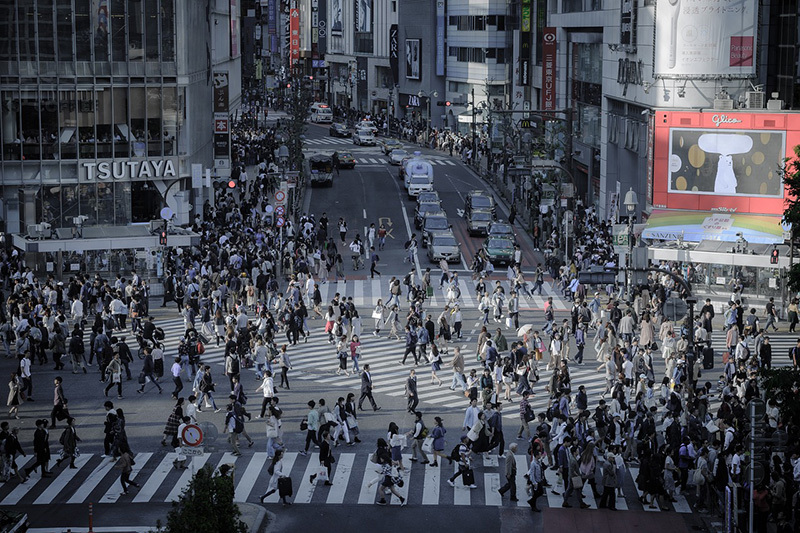 We live in a world where most people witness thousands of advertisements every single day, so being different and cutting through the noise is crucial for anyone who wants to get their message across. Humor is often an angle advertisers take to reach potential customers. Sometimes it’s intentional and other times it’s not. 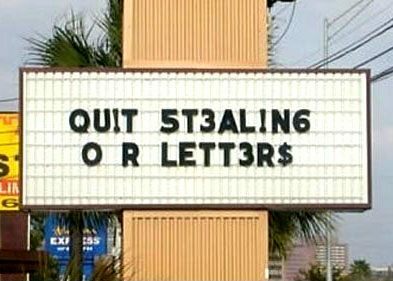 We’ve put together a list of our favorite funny billboard mistakes. 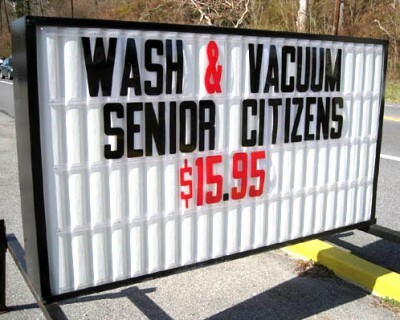 If this was an actual service someone was offering- we wouldn’t be too surprised. The price seems about right as well. This one stands out so much that we almost want to believe that it was done intentionally. 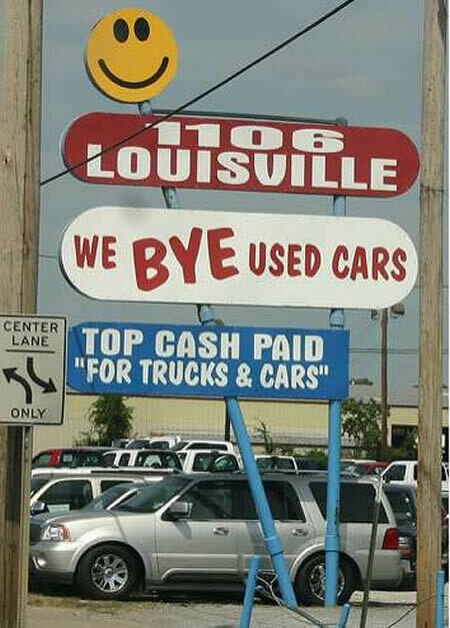 Think about it- you’ve got a used car and you want to get rid of it, where do you go? Here I guess, because they’ll make that car go bye?? Even if it’s not a horrible misspelling, it’s a terribly forced pun and we aren’t sure which one is worse. Imagine needing to update a marquee with a new discount or offer, only to find out that you don’t have the letters you need. Now imagine having that happen again and again. 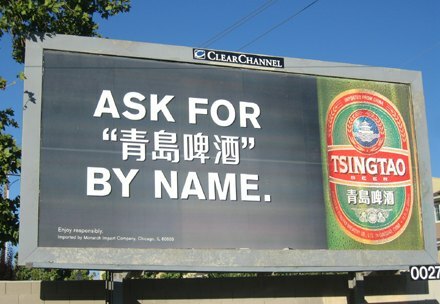 Unless you’re bilingual in English and Chinese this playful billboard is a good example of a mistake on purpose. While the branding of the signs themselves are always carefully managed by corporate and contracted out to professional design firms, the marquees that go under them are left to the local management. 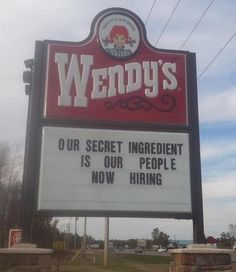 This results in such gems as this Wendy’s marquee. Bonus points to the hiring request adding even further unintentional humor. Advertising is much more than just the act of getting your product out in front of your customers’ eyes – it’s an art that balances sociology and style. Endless attempts have been made to create outdoor media which is profound to the place and time they are produced in, and many have succeeded. But what about those advertisements that simply wow with size and spectacle? That’s right, we’re talking about the biggest and most expensive billboard ever– but which billboard, exactly, is the ‘most expensive?’ Read on to find out! 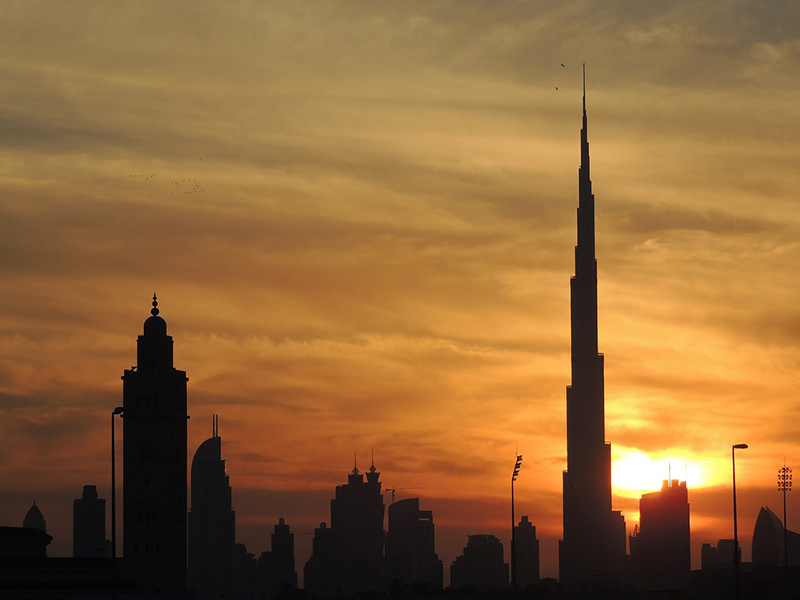 When we talk about the most expensive billboard in the world, there is a little bit of confusion about whether or not the prize will be taken by North America, or by the increasingly eminent Dubai, long considered a bastion of wealth and opulence in the Middle East. For as far as the plain facts are considered, though, the most expensive billboard is one that went up in Times Square in the late part of 2014. 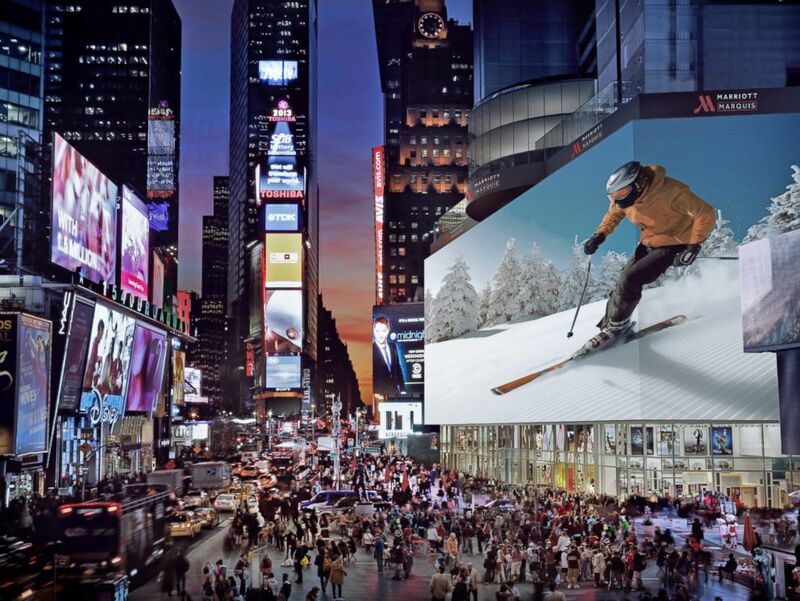 This billboard, recently unveiled in the heart of Times Square, is longer than a football field and boasts an unreal 24 million pixel display to embolden the next generation of high-definition advertising. You can see the display dwarfing the crowds below. So, what does this expensive billboard cost the advertisers of the world to use? A whopping 625k/week. Or, in other words, roughly ~$100,000 a day. The billboard is rented in 4-week periods, meaning that companies will be dropping about $2.5 million for a 4-week advertisement. While this price is pretty much unprecedented, the area sees hundreds of thousands of people a day – people who are likely to notice the gargantuan display that illuminates the marquee above them. For many advertisers, this is a worthwhile investment to make. While this billboard is one of the largest and definitely the most expensive, it is not the largest in the world. It’s not even the tallest! The distinction of tallest belongs to another Times Square billboard, the uber-iconic vertical one at One Times Square. Meanwhile, the largest billboard in the world is in Saudi Arabia which is the length of almost three football fields! 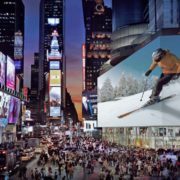 The massive new Times Square billboard may be the most consistently expensive billboard in the world with its weekly rate of $625,000, but there is one billboard that has a higher cost in terms of potential. This billboard is none other than the Skydive Dubai billboard that debuted in front of the Burj Khalifa back in 2012, in conjunction with Denver-based Go Fast Sports. Sure, it’s in a prime location… But how does it manage to risk a cost higher than $625k? The answer lies in the peculiar nature of its presentation. While the billboard is relatively standard, it debuted with a display from a Go Fast jetpack rider – no doubt due to the ties that Go Fast Sports has to the Jetpack International. Since the advertisement debuted with the jetpack rider as a key part of its presentation, it can be considered to be something of a part of the ad itself. See a demonstration in the video here. It is estimated that for this billboard to operate at full capacity (that is to say, with a jetpack rider circling it) it would cost a completely unreal $1.3 billion a month to operate. For clarity, that’s operating 24/7, for a whole month. Even still, you might be wondering, how is it so expensive? The answer is that jet-packing is still an incredibly expensive hobby, taking an estimated $500 a second. Until we see those costs drop, this will be without a doubt the most (potentially) expensive billboard in the world. So here we’ve looked at the two most expensive billboards in the world – one is a massive screen in a key center of the city, and one is in an even more opulent location but requiring an unsustainable display to make the most of itself. They are certainly two different ways to spend, so which one is ‘better’? Without a doubt, the Times Square billboard is the safer investment. It has a hefty cost, but a great location with a fantastic display. The things that make the Dubai billboard so expensive mostly come down to novelty, which while worthy of conversation, are no way to sustainably invest in your business. So if you see billboards out in the wild that echo these two, take the option that is the most stable! After all, there is a reason that brands like Google are already seeking to place multi-month displays on a display like the one in Times Square. They say that a picture is worth a thousand words, but what about an action? It is one thing to say you are capable of doing something, but an entirely different thing to actually demonstrate it. This logic governs the concept of resumes and portfolios in the working world. Unlike day to day life, billboard advertising usually relies more on telling than showing due to the restrictions imposed upon by the medium. 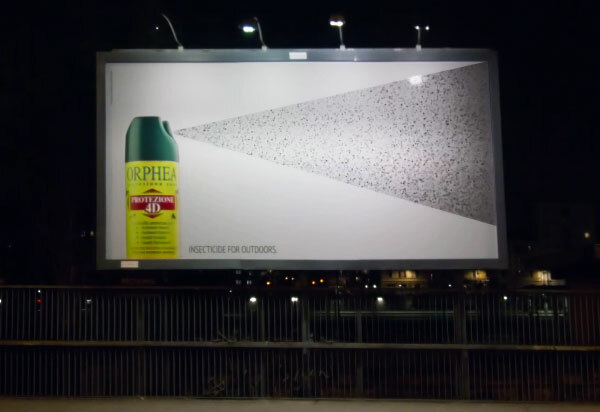 Enter Publicis and their innovative billboard for the insecticide company, Orphea, which has found a creative way of getting around the limitations of physical ads. First, in order to add a little bit more context to this ad we must understand its location. 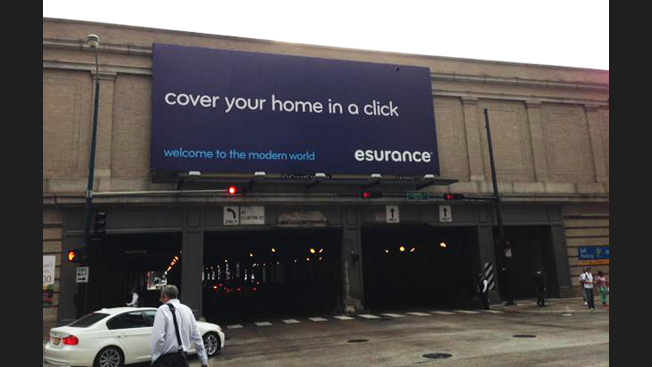 While easy to overlook if one isn’t careful, the location of an ad is crucial to reaching your target audience. This very same billboard would not be nearly as effective in say, Antarctica, for instance. Even though it is not present for long, the video does a good job of establishing the climate and conditions of Milan, Italy, with a shot of a nearby cloud of bugs. This communicates the idea that to the locals insects are a constant and troublesome issue during the spring. Even though most everyone can relate to bugs being annoying, the location for this specific ad caters to an audience with a real and prevalent need. 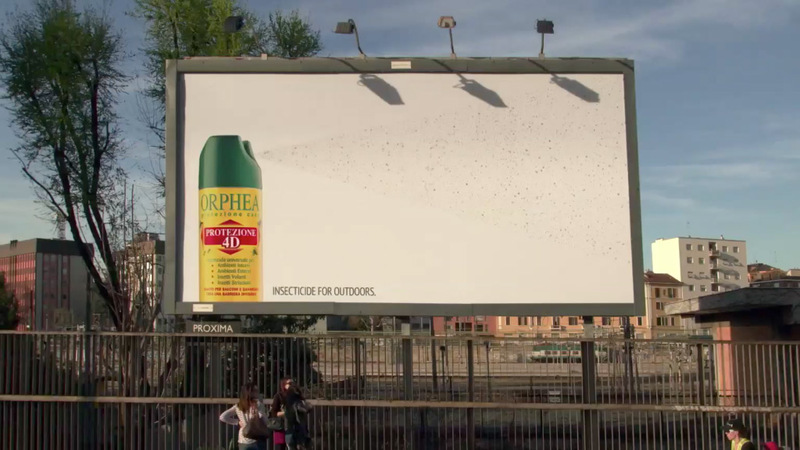 In order for Orphea to sell their bug spray they must convey to their audience, “our insecticide is effective at killing insects.” If one were to just look at the original graphics of the billboard though, only the name of the company and the product are displayed. The billboard informs the consumer that the product exists, but ultimately fails to get across how effective said product is. Technically, this would mean that a violation of the basic guidelines has occurred. Compare the live performance of a speech versus the transcription of said speech. Elements such as body language and eye contact are lost when only one form of presentation is utilized. In order to fully analyze the strategy of this campaign one must look past any individual medium of information and must take in the piece as a whole. 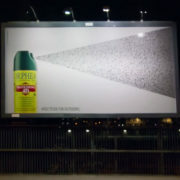 In this case, the ad uses action instead of using static images and text to convey efficacy of the product. This ad doesn’t need to say anything because it directly shows the purpose and result of the product. This creates a wordless and automatic association of action and product within the minds of the audience. Things normally become less interesting the more we experience them. Even someone’s favorite song runs the risk of becoming dull if heard often enough. Billboards are much the same way. A creative and unique billboard might grab your attention the first time, but what if you had to drive past that same billboard on your way to work every day for a month? The novelty wears thin eventually. The temporal aspect of this ad makes it even more effective over time however. The true nature of this ad isn’t stuck in any one point in time. From the original posting to the final result, none of these are really the “completed” ad. The billboard continues to change and grow in an organic way which adds something new for the consumer every time they may pass it. If this was a part of someone’s morning commute, tracking the progress of the ad would no doubt become a staple of their morning routine while it was around. This keeps the ad, and likewise the product, at the forefront of the consumer’s mind. If one secures that very precious spot in the consciousness of the consumer, it becomes much more likely that they will be remembered when a purchasing decision is about to be made.